When you are so much preoccupied with your looks, skin health is on the top of your list. Take on board tips of how to make your skin smooth again. Since I’ve been in high school, I was preoccupied with finding effective and affordable solutions for skin care. You may be like me have been wondering about how to make your skin smooth and healthy. Skin is our largest organ that supports our daily adventure in life. It gives us protection from pathogens and outside factors like weather, UV light, dust. Daily skin care is the only adequate response that will keep this organ strong and responsive to changes in our life. I would like to focus on just one small skin care topic today which is about some tips on smoother skin. Sun and wind, stress, lack of sleep, pollution are all the individual factors that effect the health of your skin. Over time, the skin becomes more prone to wrinkles, age spots, sagging. Women with rosacea, eczema, psoriasis can experience dry and rough skin even more dramatically. For women going through perimenopause and menopause, hormonal changes contribute to loss of collagen and elasticity. Though it is a natural process, every woman wants to hold on to her youthful skin as long as she can. Lack of hydration, poor diet and insufficient physical activity are the lifestyle factors that place their footprints on the condition and the looks of your skin. Rough spots on the skin can be exacerbated by the buildup of dead skin that is called keratinized skin. The cells within such skin are void of nucleus, rather they are filled with protein called keratin which makes our skin waterproof. What our skin needs is a unique combination of collagen, ceramides, cholesterol and fatty acids. These environments create the ultimate matrix for our skin and ensure its proper hydration and protection. 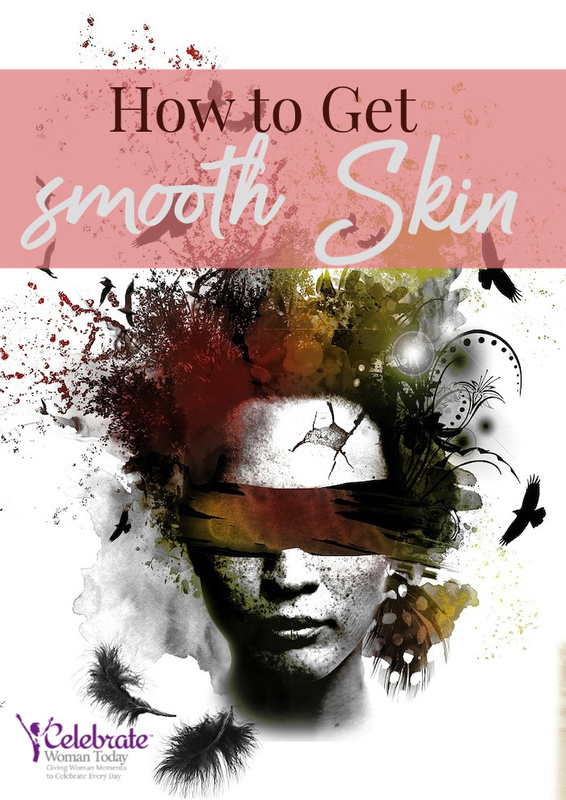 How to get smooth skin is not a rocket science. Like anything else, practicing these skincare tips every day will result in smooth skin that is healthy and powerful to resist pathogens and weather conditions. We know too well that junk food is not good for us. If we want to apply ill-effects on our skin, then junk food and carbonated drinks destroy the gut flora in our intestines. Without good gut bacteria, our body is more prone to developing chronic inflammation. As you may guess, bodily inflammation can play havoc with the skin. Different skin conditions may develop, the skin color may change, and other skin effects may follow. Adding a variety of foods from the vegetables and fruit family, you will increase your skin barrier against infections and free radicals. All that contributes to a more powerful anti-aging effect and protective effects of your skin. With Omega-3 DHA and healthy fats, you are on the right way of delivering the necessary fats for your smooth and radiant skin. Vitamin C is necessary for collagen formation if you are looking for a smoother and more plump skin today and as you age. Eating foods rich in this vitamin ensures your skin repair needs will be covered naturally as well. The antioxidant properties of vitamin C help fight free radicals and damage caused by UV radiation. The result is anti-aging action for younger-looking skin any woman appreciates! Vitamin C works wonders for the skin and collagen formation. It helps to smooth out wrinkles and fine lines. Does sweating makes your skin better? Yes, it does. When you sweat, the skin releases dirt and by-products of the chemical reactions taking place inside the body. The pores clear up, too. Overall, the final results that sweat brings are very positive to the skin. Daily exercise that forces your body to break a sweat is one of the best ways to keep internal inflammation at bay and regulate hormones that affect the health of your skin. Regular physical activity brings more blood to the organs, skin included. It means more micronutrients and oxygen are delivered to the skin, and the by-products are carried away in such nutrient exchange. This is an ultimate skin smoothing mechanism anybody could use without any money spent. Just start walking to begin with! 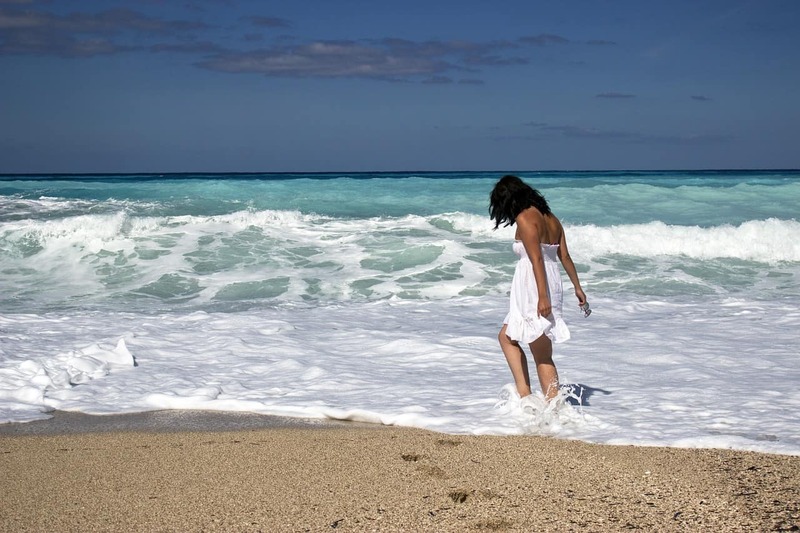 Taking a Walk Outside the House, Walking a Short Strip on the Beach – Any Outside Activity Will Do You and Your SKIN Good. 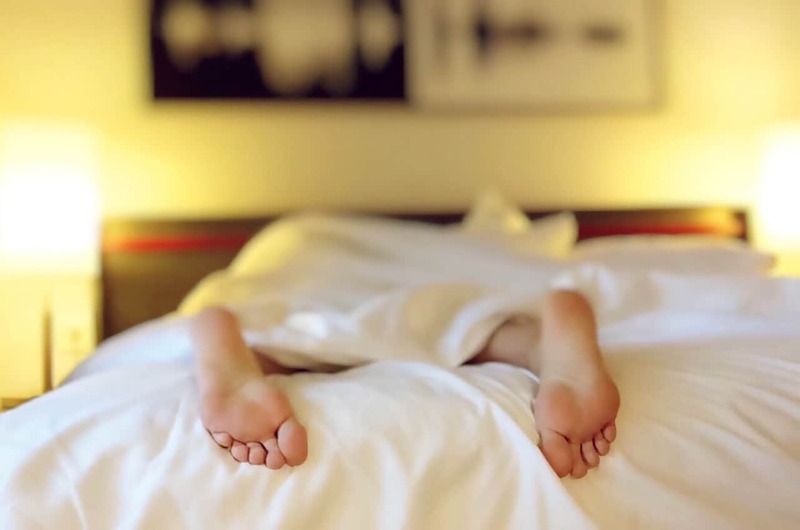 Sleep is your number one tool that determines how well you will look the next day. When rested, you think and look better. Thanks to the REM cycles, million of chemical reactions take place in your body. Skin rejuvenation won’t be happening during those healing and repairing nightly cycles if your sleeping patterns are inconsistent. The most optimal amount of time for your sleep is seven to eight hours. Premature skin aging happens without adequate sleep. First, you may notice puffy eyes, then dark circles under the eyes, then sagging skin. These are all the consequences of not enough sleep. Make sleep priority for the youthful beauty of your skin. Without enough sleep, a stress hormone Cortisol will lead to inflammation that hurts your skin health and looks. Cleansing is one of the important steps of skin care. Using skin cleanser and mild exfoliation does wonders on the skin appearance. Our skin is regularly producing a layer of dead cells. If not cleared, these dead cells will seal most of our skin from the benefits that skin care products we use could bring. Using a mild cleanser in the morning and evening for your face will get rid of the dead skin and allow the skin care products deliver the intended benefits. If you would like exfoliate, choose liquid exfoliation products with salicylic, glycolic or lactic acid. I used to use scrubs that had exfoliating grains inside. But they were truly damaging to my facial skin. Be aware of it before you buy a skin cleanser. For the body, I use dry skin brushing to exfoliate daily. I would never thought about the benefits this skin brushing process could bring to my overall well-being! For my feet, I love this product! It gets rid of the cracked and dry feet almost in no time. Depending on an individual extent of damage of your skin, it will take different time to heal the skin on your feet. But the product is organic, non-GMO, cruelty-free and vegan. I use it when I see my feet need TLC. After a couple of applications, I get back my smooth skin on the feet. Hands crave our daily care! Using personal care products with Manuka honey take a gentle care of the skin on the hands. Manuka honey is famous for its antibacterial, anti-fungal properties. Moisturize your skin every day. I do it in the morning and before going to bed. Apply the moisturizer on a damp skin. 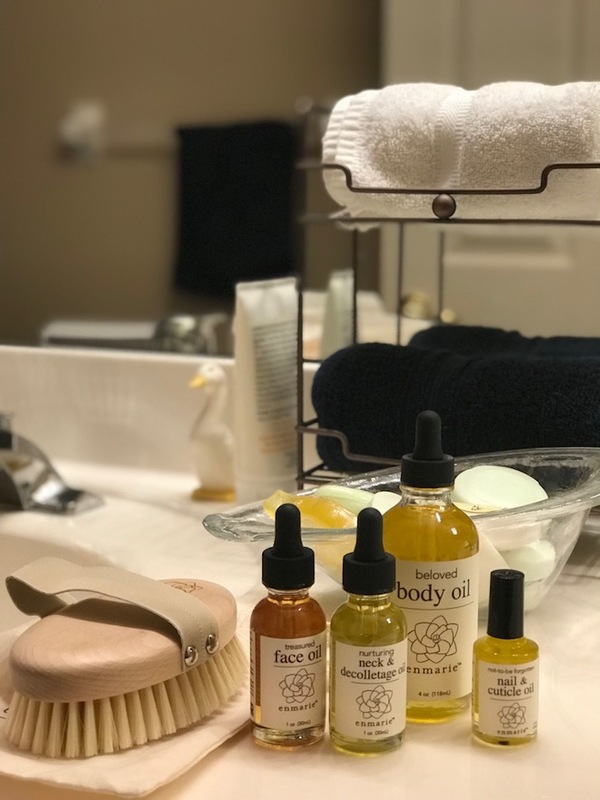 It is especially good right after the shower, when the pores are open, skin is clean and ready to take on some actives and hydrating ingredients. I use my serum first and then apply my day cream or lotion on top. For the body, I just apply the body lotion to keep my skin feel well taken care of . Hydration comes in many forms and shapes. To keep your cells plump and active, you need to drink water. Water allows to flush out the toxins and the cellular by-products and to keep each cell active from the chemical point of view. Water helps the cells to function with optimal results. Enjoying fruit and vegetables in your daily meals also adds to the hydration status of your skin. Eating berries, apples, oranges, grapes, and adding colorful veggies to your snacks add the valuable minerals, phytonutrients and antioxidants to your cellular health. For the skin, it means a more potent and more efficient functioning. Well-hydrated cells produce a healthy-looking glowing skin. For the external hydration, use tonics, lotions and creams based on your skin needs, weather, and skin conditions. If you want smooth skin without compromising your health, do at least two things when it comes to sun and light exposure. Your skin elasticity drops significantly during the perimenopause and menopause years thanks to the natural hormonal fluctuations. To protect the precious collagen and elastin that make up the connective tissues of your skin do use SPF 30 creams and lotions. One of the biggest factors of any sunscreen is its active ingredient. Use the ones that truly protect your skin. Avoid any products that list oxybenzone and/or octinoxate as their active ingredients. Use only those sunscreens that are skin healthy and reef-safe with an active ingredient of zinc oxide. The second thing you need to keep in mind is to get enough sunlight for an overall health and well-being. Take ten to fifteen minutes each day to walk or work in your garden with your face exposed to the sunlight. This short exposure to the sun rays will allow you to generate vitamin D and allow the sunlight to positively affect your mood. Receive your daily SUN Light dose by spending around 10-15 minutes in the sun. Walk or work in your garden to receive a healing energy of the sun light. Manuka is the gold standard for honey and is produced exclusively in New Zealand from bees and flowers that are environmentally protected. No artificial flavors, colors,no corn syrup or refined sugars and NO preservatives. Committed from day one to providing the very finest and most authentic Manuka Honey possible, PRI already meets and exceeds many of the New Zealand’s new labeling requirements and is the only U.S. provider that supplies a Certificate of Analysis (COA) from independent labs for every jar of Manuka it imports from New Zealand (these reports are available upon request to customers). Moreover, determined to remain on the cutting edge of Manuka purity and maintain its longstanding commitment to complete transparency, PRI will also supply the new Government test along with a COA for every jar of Manuka Honey imported from New Zealand for consumer assurance. For any of our readers who love Manuka Honey products, here’s a code to 15% OFF any products HERE – use code Beauty15. Want to Win All of these Manuka Honey Products for Your Health? 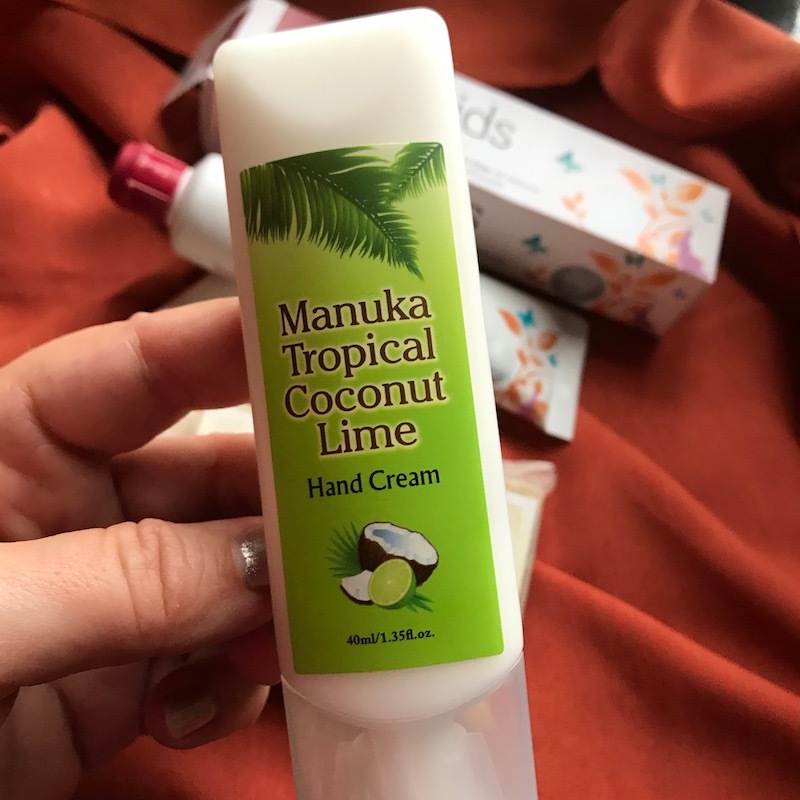 Manuka Tropical Coconut LIme Had Cream – You will find Manuka Honey and exotic botanicals on the igredients list for this cream. Using it several times a day will ensure your skin on the hands is well hydrated and protected from microbes. Maunka Honey Lip Balm – PRI’s lip balm is the newest addition to body care collection. It is formulated with a healing power of Manuka Honey and organic ingredients to protect, restore and hydrate your lips. Manuka Honey Soap with Botanical Oils and Pacific Sea Salt – Such a clean and amazingly aromatic soap that will call your name every time you pass by. No chemicals inside, just Manuka Honey and nourishig botanical oils. Standardized by Nature Tea tree Oil – Tea tree contains terpenoids that have been found to have anitseptic and antifungal activity. The compound terpinen-4-ol is the ost abundant and is thought to be responsible for most of tea tree oil’s antimicrobial activity. This oil is awesome for finger and toe nail fungus. Red Seal Kids Toothpaste – Free from sodium lauryl sulphate, fluoride, parabens and any other harsh chemicals. This toothpaste is naturally sweetened with fresh peach and banana “bubblegum” flavor. Propolis & Manuka Honey Cough Elixir – This cough elixir is a homeopathic formula with the active ingredient Bryonia 3x, which is formulated to relieve symptoms fo a dry cough. 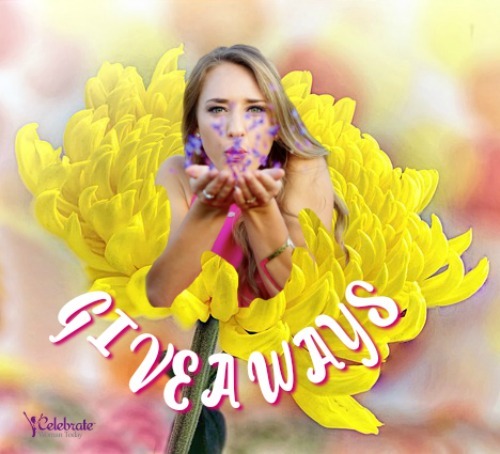 Never Miss Our Giveaways! 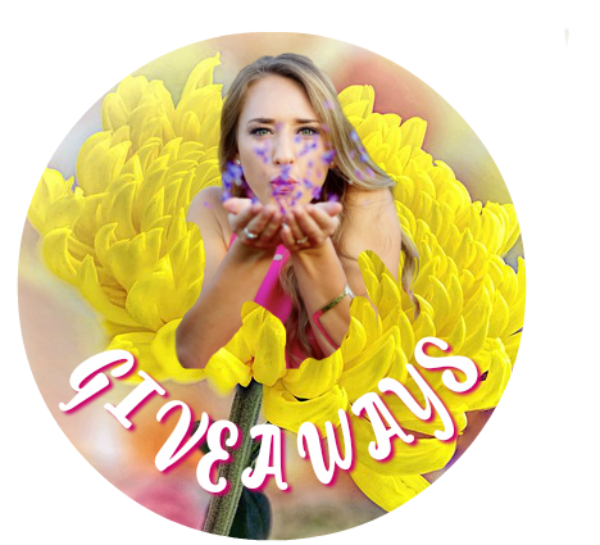 Join the Giveaway Tribe! Is Dry Skin Brushing Good For You and Your Health? Who Wants To Win NeoCell Collagen Skin Products? Check It Out! I’ve seen the direct connection between a healthy diet and clear skin. Thanks for the tips! This post is very informative! I’ve learned quite a bit from reading this, and I do plan on using the tips. Thank you for the information. I drink a lot of water and use sunscreen as much as possible. These are great tips! Some of these I wasn’t even aware of! Great tips. My skin always gets so dry in the winter months. Great tips! Sleep, vitamins, and keeping hydrated are definitely important. 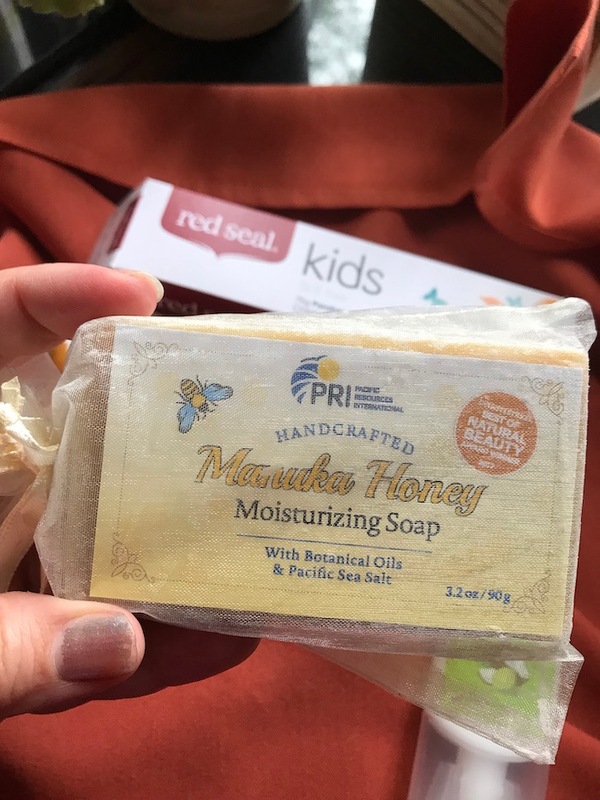 I have never heard of Manuka honey products before but I would love to check out the soap. My skin is still dry after this past winter. I will follow these tips. These look like some great ideas and tips along with some great products to keep my skin happy, healthy and moisturized. These are all good tips. Thanks for the information. I’ve always followed a strict skincare routine because I have very oily/extremely oily skin than got even more oily prior too my hysterectomy and hasn’t changed following my hysterectomy. I use to work in my yard and cut my grass, my parents grass, my sisters grass and shop which required my being outside a good bit thus I sweated a lot and my skin wasn’t nearly as oily. It’s a good thing that sweating is beneficial to your skin, I do that a lot when I’m working. I have noticed that since my diagnosis with MS, sometimes my skin hurts. I seem to use a lot of lotion lately. Great tips! Very good tips. I wonder if I sweat enough since I exercise in the swimming pool. Yes, you do sweat when you do your swimming exercising! But as the water is usually much cooler than your body’s temperature, the sweating is not as much as when we sweat outside water. But swimming is an excellent way to get an inner massage to your internal organs and tissues. Thanks for the great and informative article. I have dry skin especially in the fall and winter. I love these tips. The older I get the worse my skin gets. Having sensitive skin makes it even harder. Moisturizing is so important. I like the lotions that go on wet skin after showering. I notice a huge difference in my skin when I drink enough water. Wonderful tips for me as I have very dry skin. Thank you. I am recovering from nose surgery and the tape chewed up my fave pretty good. I’ll have to try some of these. Wow, there are a lot of tips in this post. My biggest skin problem is cracked hands in the winter. Can’t seem to find anything that works to keep it from happening. I was not aware that stress was harmful to the skin. Thanks for sharing this post. I’ve had bad skin since I was a kid. I am appreciative of your info. Thanks for sharing. The coconut lime hand cream sounds good to me. Our hands get dry and crack in the winter. I definitely needed these great tips after the winter weather. Need to rejuvenate and nourish my skin. Taking good care of your skin is so important. Great post! I love manuka honey! I’ve used manuka hand cream, and it has done wonders for my dry, chapped hands. I also love the immune benefits of manuka honey. Water has definitely helped me! My skin is dry, so keeping it hydrated is a must. My skin is so dry from this crappy winter! I need to look into this. These are all great tips that I will be putting into use to combat my dry skin, especially with summer coming up. 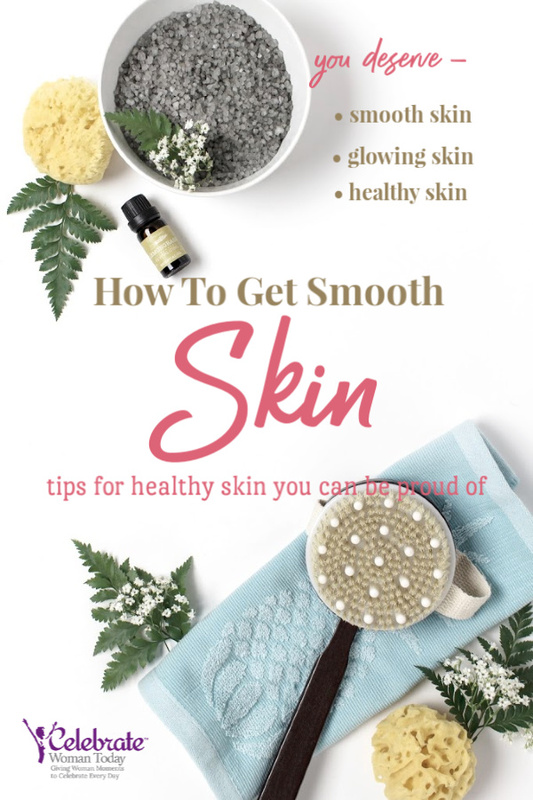 These are all great tips to get my skin looking and feeling smooth! This past winter was rough on my skin. oh man…sorry I missed this giveaway. When I hit perimenopause, my oily skin became dehydrated – an issue I had never experienced before. Your ingredients of ceramides, fatty acids, etc. were key to keeping that dehydration under control. I would love to try PRI’s manuka products. The bar soap would be lovely. Lovely practical tips, definitely can see the difference if you follow this guide. These are all wonderful tips. I try to stay hydrated inside and out! Thanks so much for these tips! I have such dry skin so I need to try this stuff! I definitely have had to change up my skin routine as I have gotten older and and the seasons change. I have also found that moisturizing is key to keeping my skin nice. These are all such great tips! I need to not only try these products but that dry brushing as well! I’ve heard great things! The products look great. I know I need to sleep more and be active. These are really awesome tips! Thank you for sharing! My sister has been encouraging me to take more time on my skin. This post is a great resource because I have no clue what to do for my skin care. I’m a habitual water drinker year round. Your other tips are excellent, and I look forward to implementing some of them. Another thing that works really great is to have a humidifier in your house, esp. during winter. Your tips are great! I really need to increase my water supply! My skin is just so dry this time of year! I really hate it! I really do have to keep these things in mind. I hadn’t considered adding things like dry brushing to the routine!